Famous for his tingle-all-over, peppermint-infused castile soap, Dr. Emanuel Bronner was at the forefront of the health food movement in the ‘60s. Popularized by the so-called counter culture, Bronner’s verbosely labeled blue-and-white soap bottles, emblazoned with the man’s MORAL ABCs, are ebullient about matters of labor and faith and obsessive about “Uniting God’s Spaceship Earth.” With random mentions of Einstein, Hillel, Jesus, and Olympic gold-medal winner Mark Spitz, it’s easier to ridicule the soap maker and his ABCs than it is to figure out the agenda behind this product that seems more a model of activism than a consumer good. And therein lies the nucleus of director Sara Lamm’s address: Dr. Bronner’s Magic Soapbox does tell the story of a soap company, the founder and his heirs, but moreover, it explores the foundation of the soap company’s label and addresses the possibility of what the Bronners call “conscientious capitalism.” Ultimately, the documentary leaves you feeling hopeful and tingly all over. Bronner was something of a divine madman. Showing foresight all his life, he came to the states from Germany just in time to dodge the camps. Sadly (or thankfully—depending upon how you see it), authorities recognized his boisterous preaching about uniting spaceship earth as mania and he was institutionalized. To hear his remaining son, Ralph, speak, you’d never think his kids begrudged him. Ralph, the audiences point of entry into the Bronner soap empire, gives to charities, lives a life of conscientious capitalism, and offers “random acts of kindness” to those he has the benefit of encountering. At first, his kind acts are met with awkwardness, but Ralph (and by consequence Magic Soapbox) is relentless about its compassion in a way that makes the phrase “compassion is revolutionary” seem less like a bumper sticker and more like a movement. Reflecting the kindness shown by the doctor’s heirs, Lamm conveys both Dr. Bronner’s flaws and finer attributes, and produces a richly textured portrait that’s neither parody-like nor melodramatic. She offers as much acceptance for the oddities of her subjects as the subjects themselves offer the world around them. 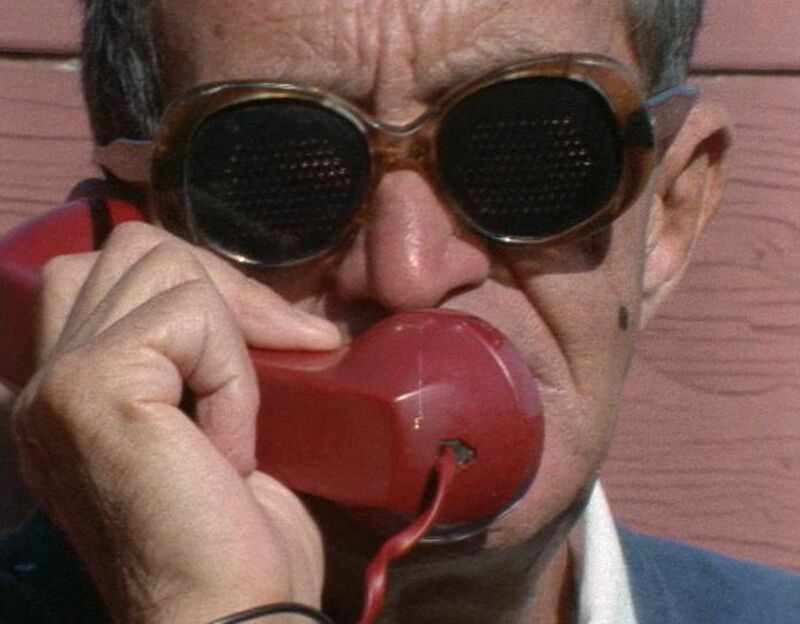 Eschewing Voice of God, Lamm uses quotes from Bronner’s label to punctuate the film and posthumously invoke the voice of Dr. Bronner through his extant ABCs. So it seems oddly fitting that Magic Soapbox is full of remarkable good fortune. Lamm bears witness to incredible and staggeringly rich moments: a mourning musician let’s go of his strong demeanor and offers Ralph some enlightening analysis, Ralph expounds on his neglected childhood before a giant storefront sign that reads “DADDY,” and a room full of adopted special-needs children rock baby dolls in their arms while Ralph strums a lullaby about the disenfranchised on his guitar. The poignancy is, at times, overwhelming. Sensitive, quirky, well conceived, and reverent, Magic Soapbox does more than simply unscramble the Bronner’s Magic Soaps blue-and-white label for the skeptical consumer; it offers solutions for spaceship earth that extend beyond hygiene. From caring for strangers and bringing water to Ghana to in-house bonus programs for its employees, Bronner still seems able to help us wash our skin and sins, even if you have to suffer the oddities just a little.